Draft Notification proposing Amendment of Rules 2C, 2CA and 11AA and for Nos. 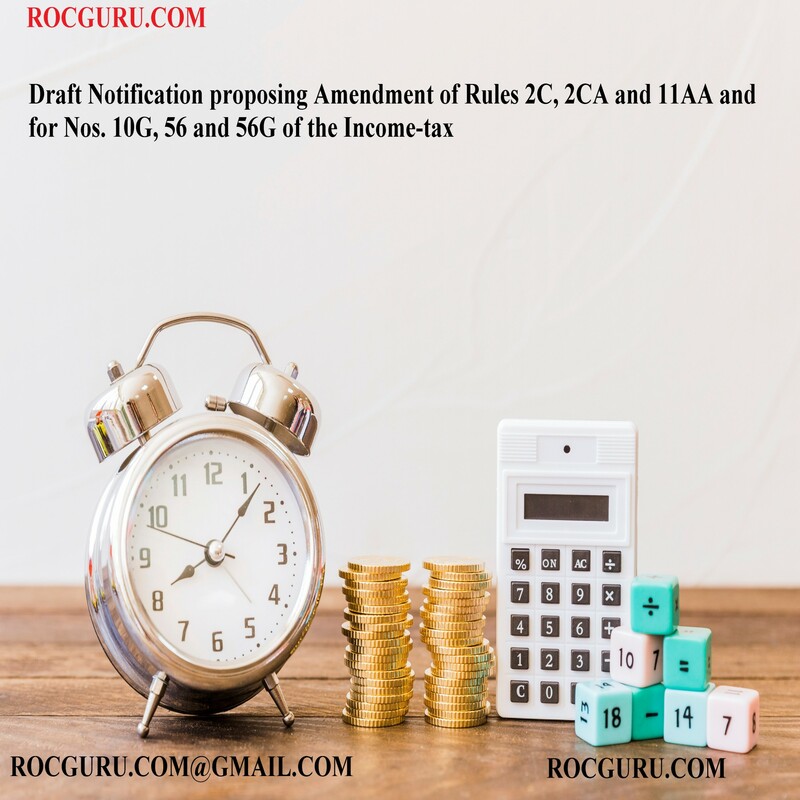 10G, 56 and 56G of the Income-tax Rules, 1962 Draft Notification proposing Amendment of Rules 2C, 2CA and 11AA and for Nos. 10G, 56 and 56G of the Income-tax Rules, 1962 - RocGuru: GST Filing| Business Registration |Trademark | EPF & ESIC Compliance.